It has been revealed that e-books are being read on mobile phones by just under half of all UK consumers further projecting the popularity of electronic books. Six billion people in the world own a mobile phone. That’s 1.5 billion people more than those who own a toilet. As a society, we are almost constantly glued to them, the mobile phones that is; not only using them for calling and texting but also browsing the web, social networking and using apps. As technology has advanced most of us have found ourselves in possession of devices that do more and more things in one place. Now, it seems, they are even trying to replace books and e-readers. Almost 50% of people in the UK have read part or all of an e-book on their mobile phones despite it being possible to access Kindle e-books from various digital platforms including Kindle for PC as well as on Kindle e-readers. Once a book is scanned, it can be converted to a range of digital formats including PDF, PDF Searchable, Amazon Kindle, ePub, iBook and Flipping Book. This seems like natural progression for the consumer to be provided with everything they want on one mobile device which banishes the need to have a number of devices in your possessions when on the move. Another reason for the popularity of this access could be the features that apps like Kindle for Android have to offer; you can set the screen and text colour you wish, zoom in on the screen, Google relevant subjects and get a definition of a word in the text instantly. Once again, all of your needs are in one place. As we’ve mentioned before, e-books as a form are getting increasingly popular and offer many advantages particularly regarding accessibility. Even old and classic books are being scanned and converted to digital form to make them more accessible. 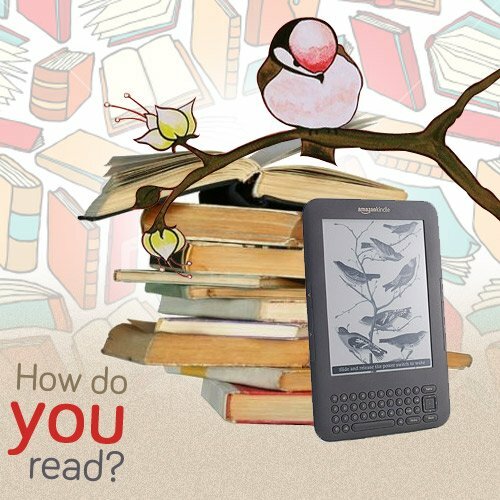 There will always be debates as to whether e-books can replace paper form and each have their own advantages but if the increased accessibility of e-books keeps the nation reading, then it can only be a good thing, right? For more information about scanning books, feel free to browse the category on the left. If you have a book you would like converting to digital then Pearl Scan can help, call us today to speak to a member of our friendly team.